“The Untold Story of Ralph Carr and the Japanese: Fate of 3 Japanese Americans and the Internment” will be screened on Saturday, April 28, at 2 p.m. at the Japanese American National Museum, 369 E. First St., Little Tokyo. In support of its efforts to generate awareness about historic and social challenges faced by Japanese Americans, Nitto Tire is sponsoring the documentary, which is produced by Fujisankei Communications International Inc. (FCI). It reveals how Colorado Gov. 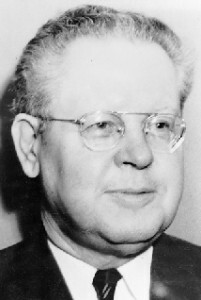 Ralph Carr defended the constitutional rights of Japanese Americans and opposed their internment in government camps during World War II. Beginning last September, the film was shown on the majority of All Nippon Airlines (ANA) international flights. Working closely with General Manager Hirotaka Hattori of ANA’s Los Angeles branch, Nitto Tire’s Corporate Social Responsibility program — in a mission to prevent history from repeating itself — brings awareness to social injustice Japanese Americans have experienced. Following three Japanese Americans, the documentary provides perspectives from each individual experience during the 1940s. In one of the stories, Robert Fuchigami tells of his family being uprooted and forced to live in Amache, the government-run camp in Colorado. He speaks of the deterioration of his family’s unity and the sadness endured. Also included are two less common narratives that are in part attributed to Carr’s heroic actions. A passionate defender of Japanese American rights, Carr publicly opposed the internment, believing that denying any group its constitutional rights would put the rights of all Americans in jeopardy. He granted Japanese Americans a safe haven in Colorado at a time when other states refused their entrance. Herbert Inouye recounts his family anxiously leaving their California home and making the move to Colorado. He remembers angry citizens on the streets yelling slurs at their car and soldiers with guns as they traveled east. Yet, after a harrowing journey, a state trooper at the Colorado state line warmly welcomed his family. Similarly, Colorado native Mitchie Terasaki avoided the government evictions and internment faced by many Japanese Americans. She instead led a successful life as a civil servant in the Colorado state government after being hired by Carr. The governor held firmly to his belief in equality and justice for all throughout his political career. Though his beliefs would ultimately cost him election to the Senate, he firmly stood by his moral code. Nitto Tire (www.nittotire.com) has factories and offices in the U.S. and Japan. It provides annual support to companies like FCI and JANM that are dedicated to promoting awareness of Japanese American history and culture. Where can I purchase a DVD copy of this documentary?